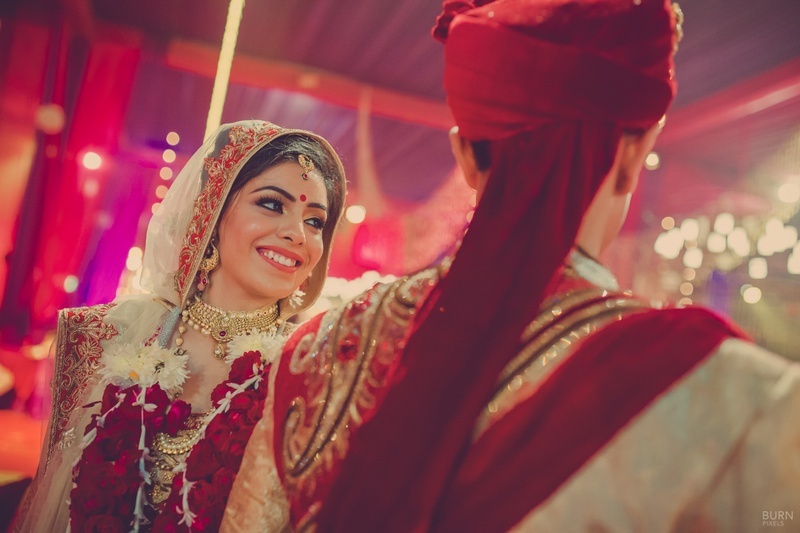 A pretty Punjabi wedding held at LD Garden Resort, Amritsar set in tones of fuchsia and gold. 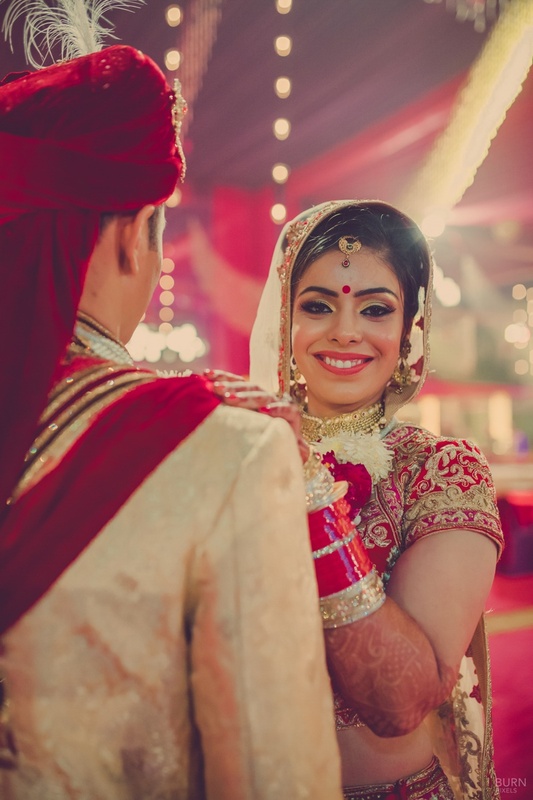 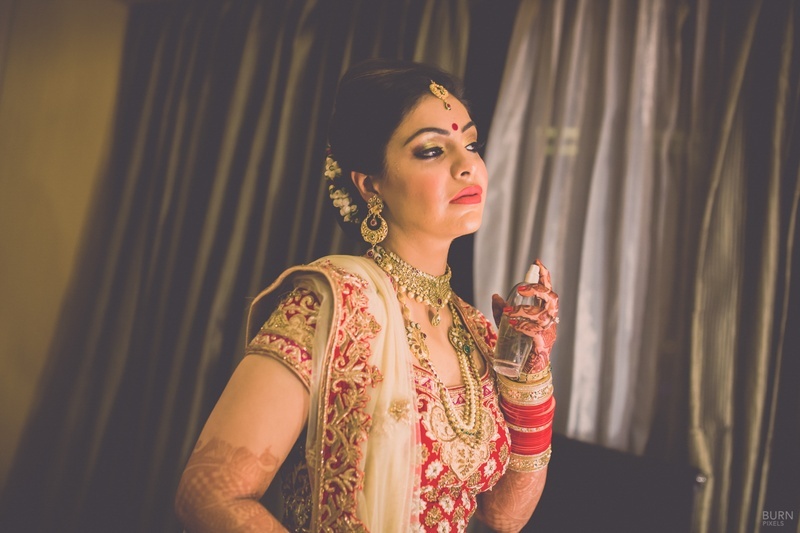 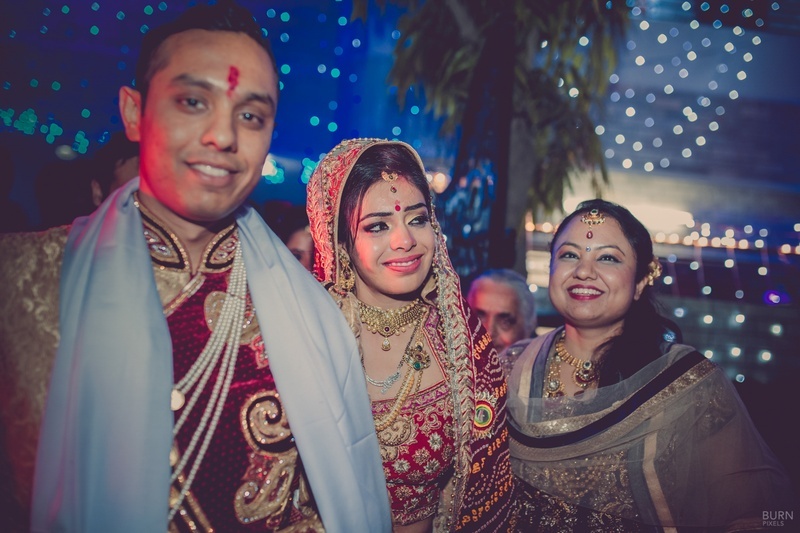 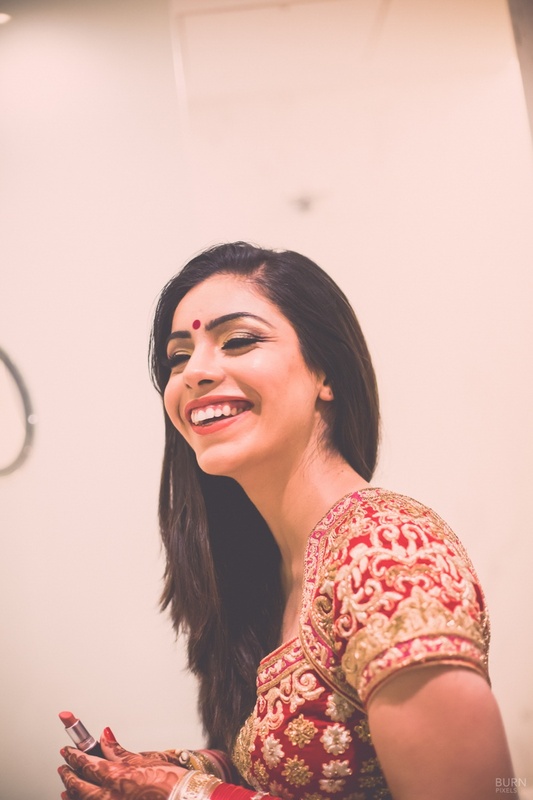 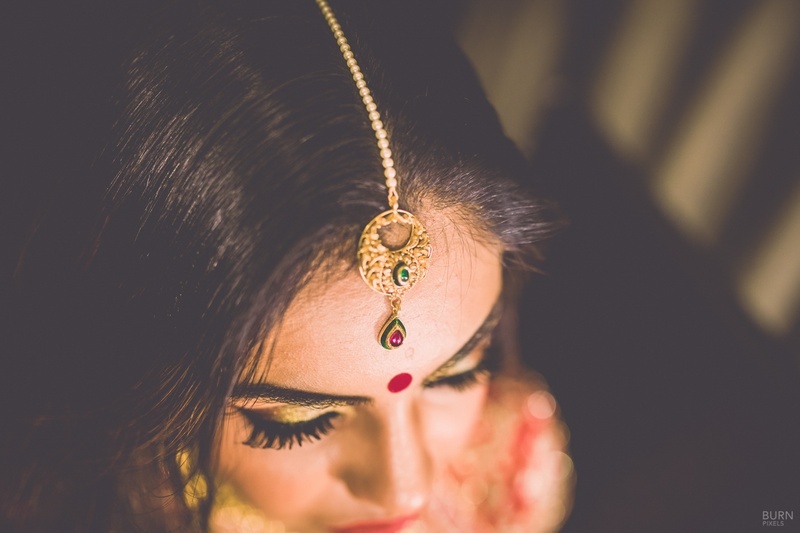 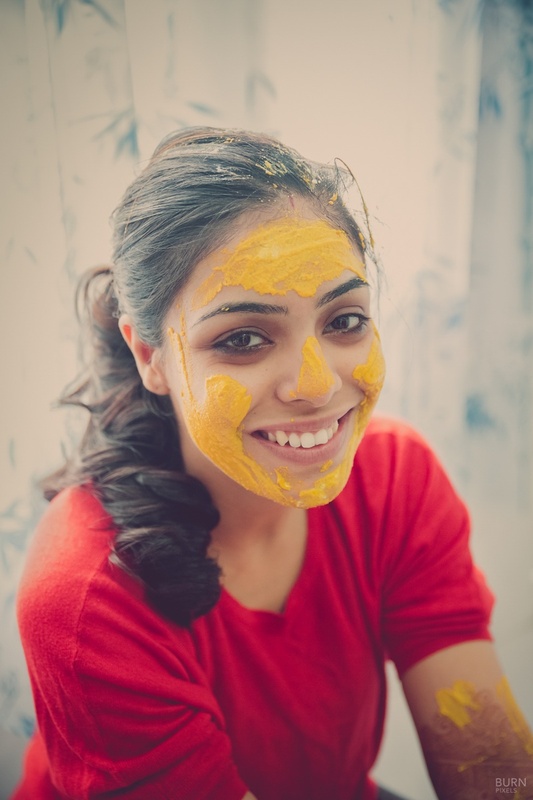 Rabia and Manik’s wedding rituals were kept traditional to the T while their wedding décor and outfits were balanced with the right amount of modern-contemporary style. 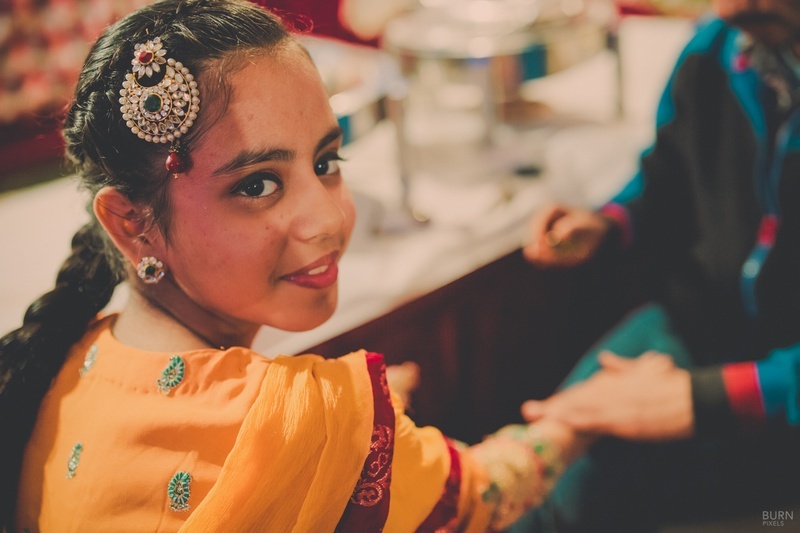 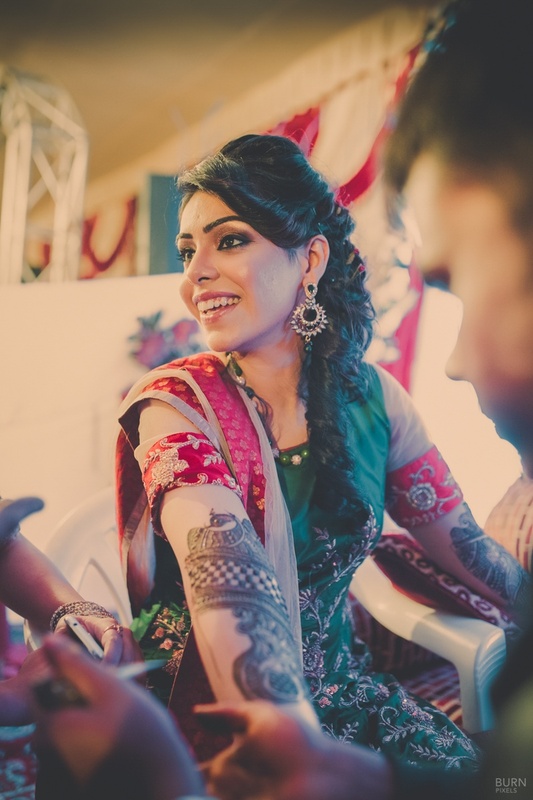 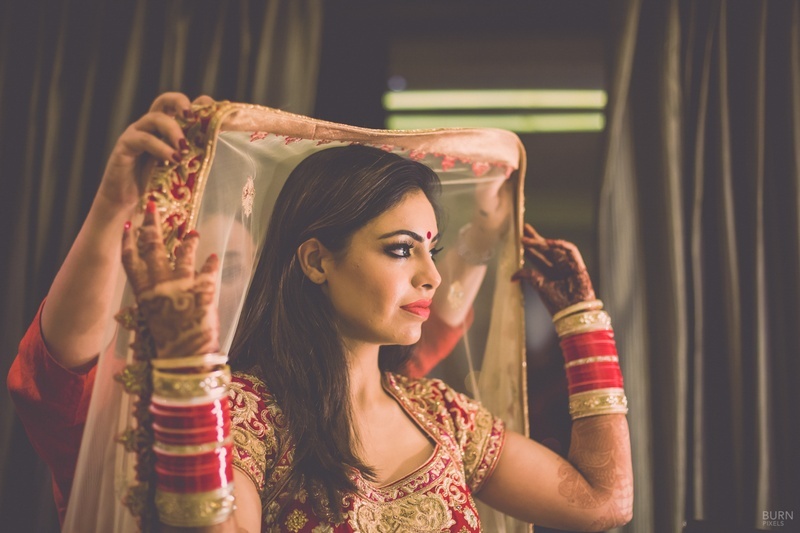 The Amritsar styled wedding celebrations began with the mehndi and sangeet held at Holiday Inn, Amritsar where this stunning bride donned a red and emerald green outfit with a loose fishtail braid – looking like a true 70’s Bollywood star! 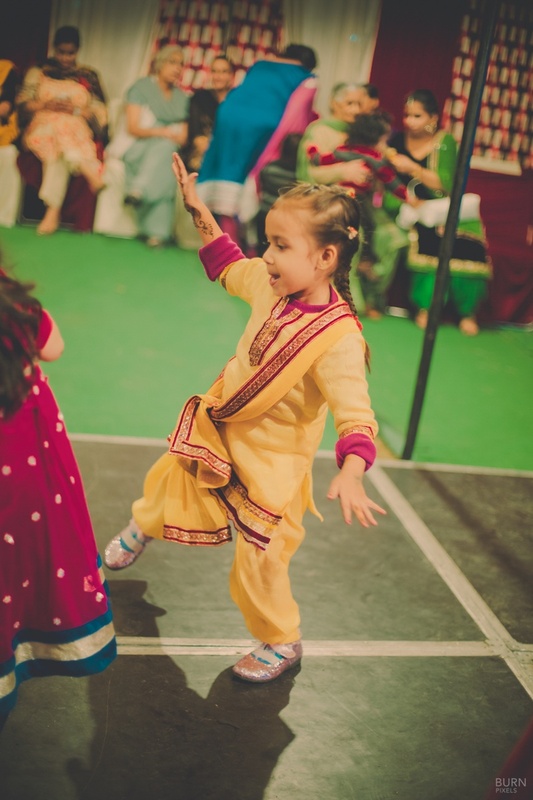 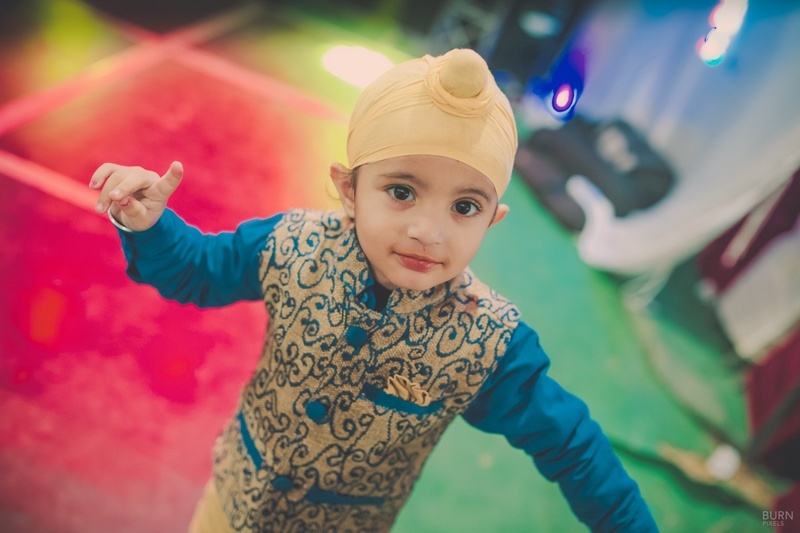 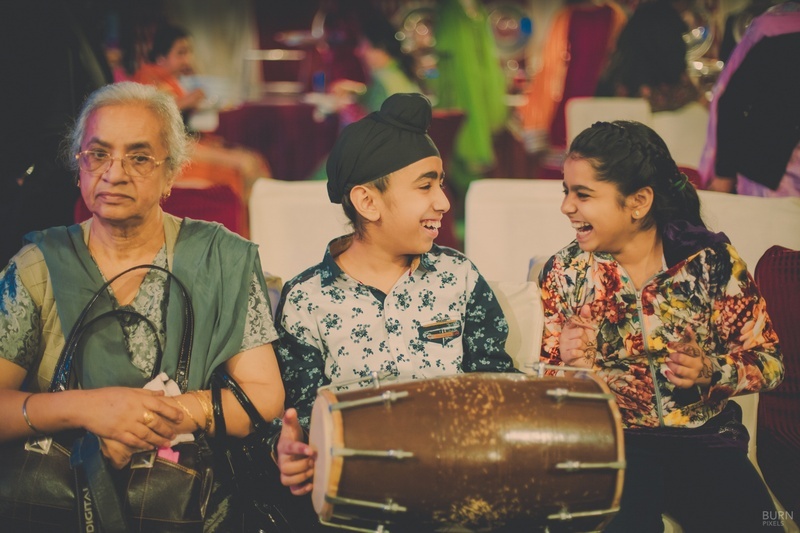 Loads of naach-gaana and specialized bhangra moves by the little kids were seen setting the mood just right for the sangeet and mehndi ceremony! 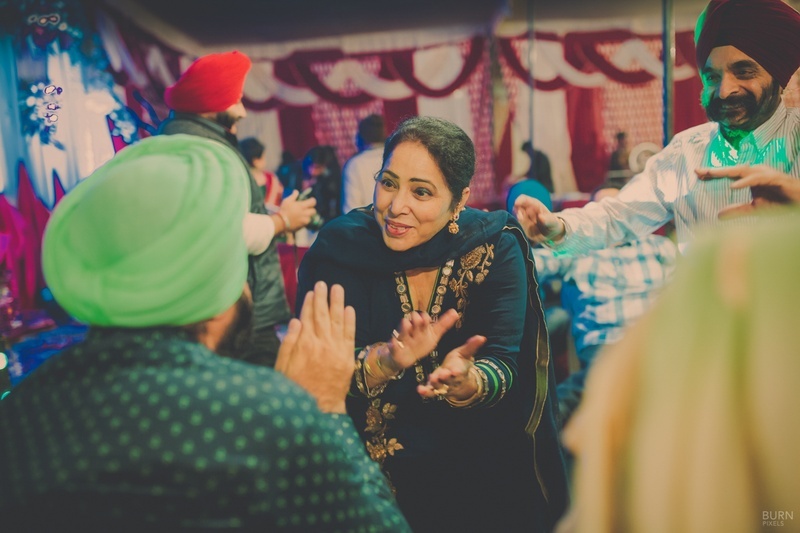 LD Garden Resort, Amritsar saw their pretty Punjabi wedding loaded with tones of pink and gold. 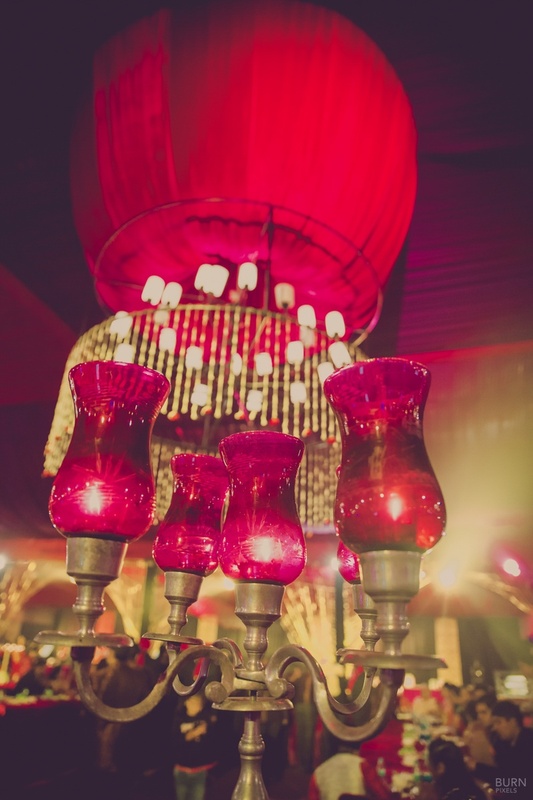 Vintage Arabian lamps, floral chandeliers and bold fuchsia drapes everywhere! 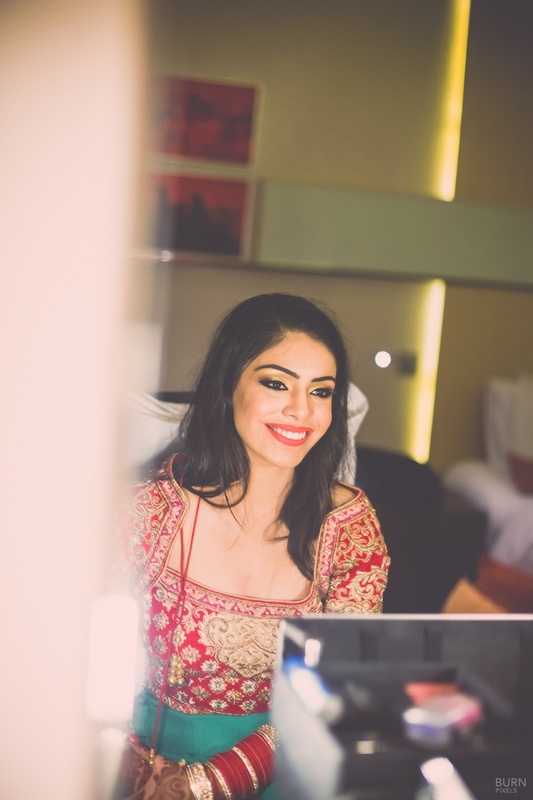 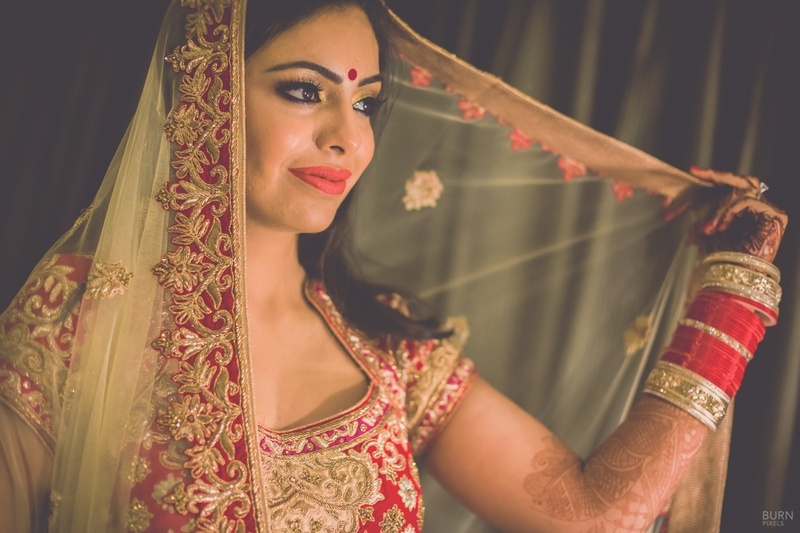 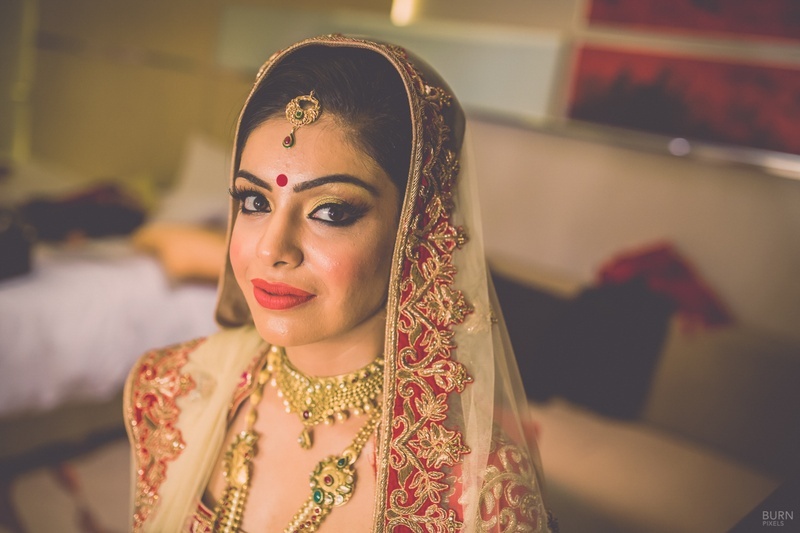 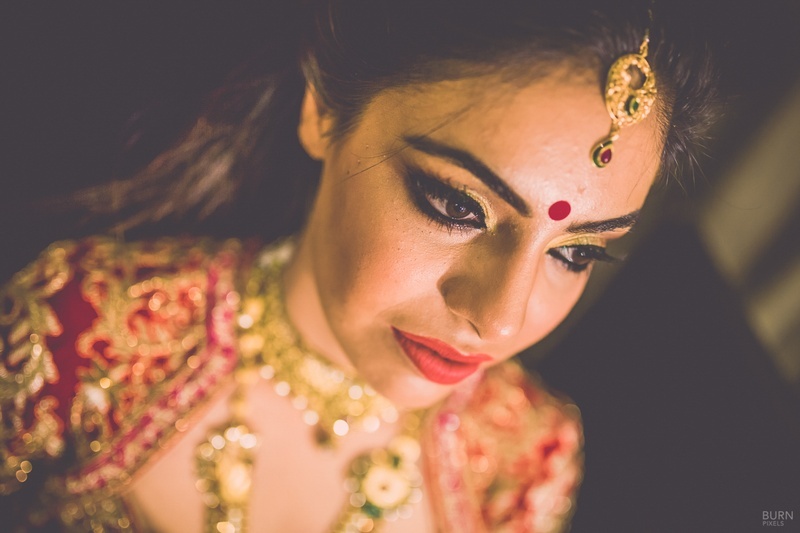 Rabia wore a fully embroidered traditional red and gold lehenga by Asiana Couture, Delhi and kept her makeup to match. 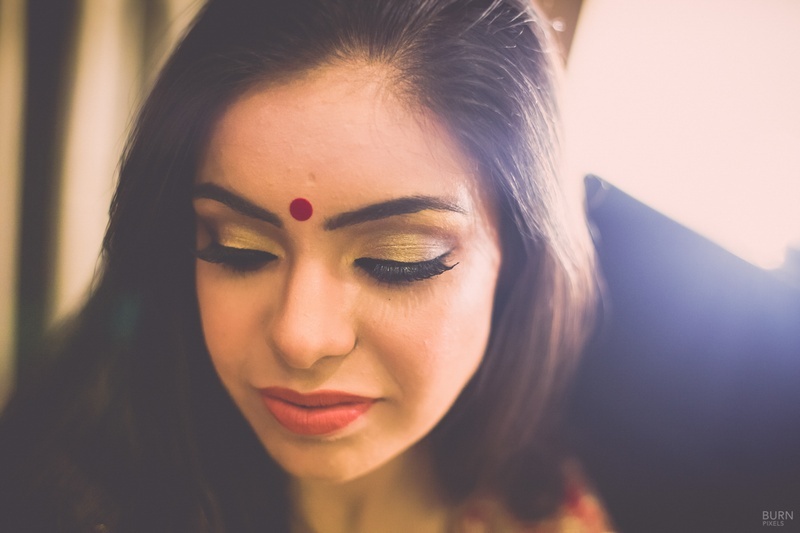 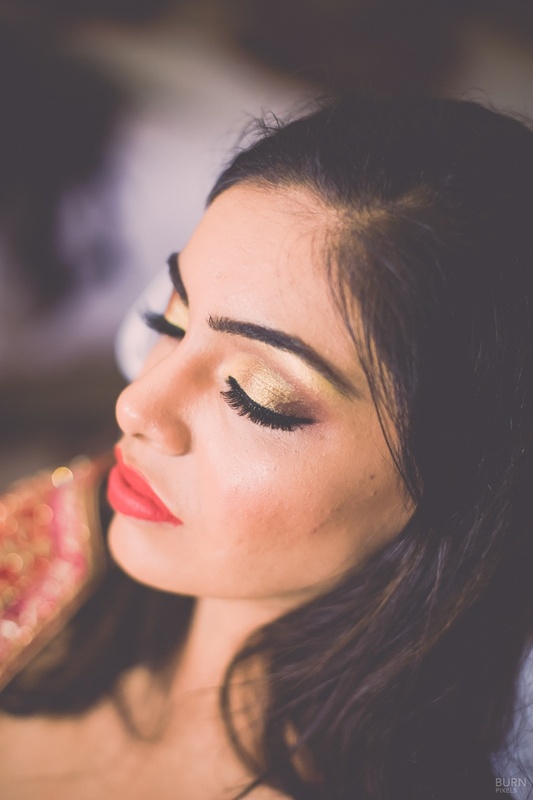 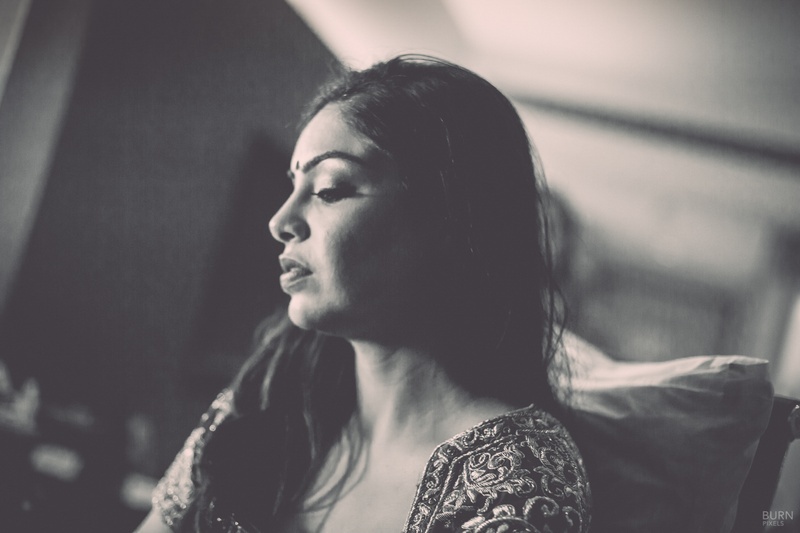 Ruhani Puri dolled her up with the perfect gold smoky eye and luscious long lashes! 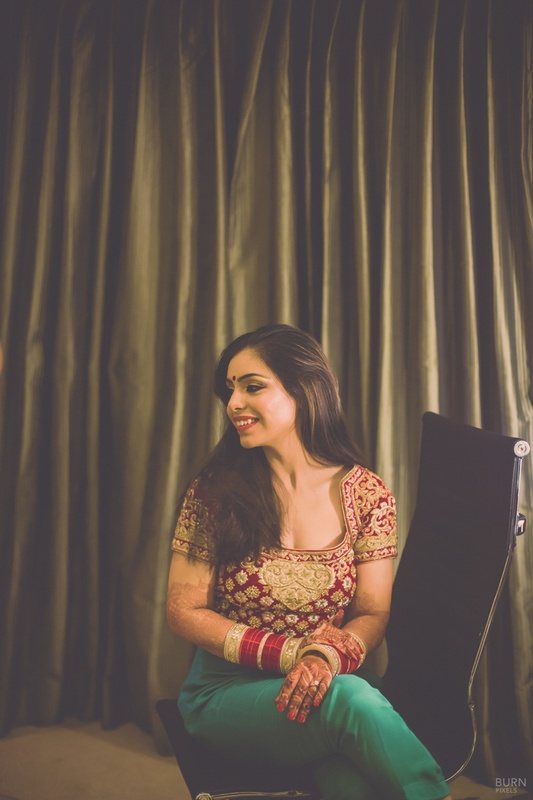 The dapper groom matched Rabia perfectly in his wedding sherwani from Asiana Couture too. 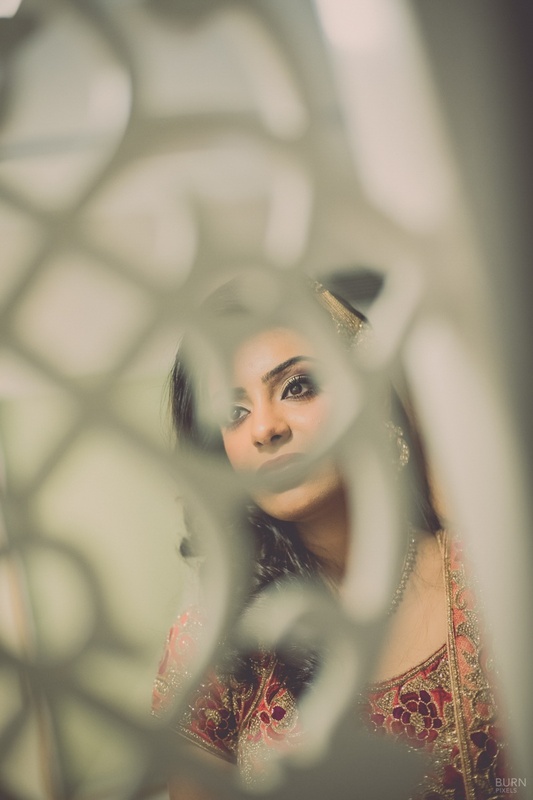 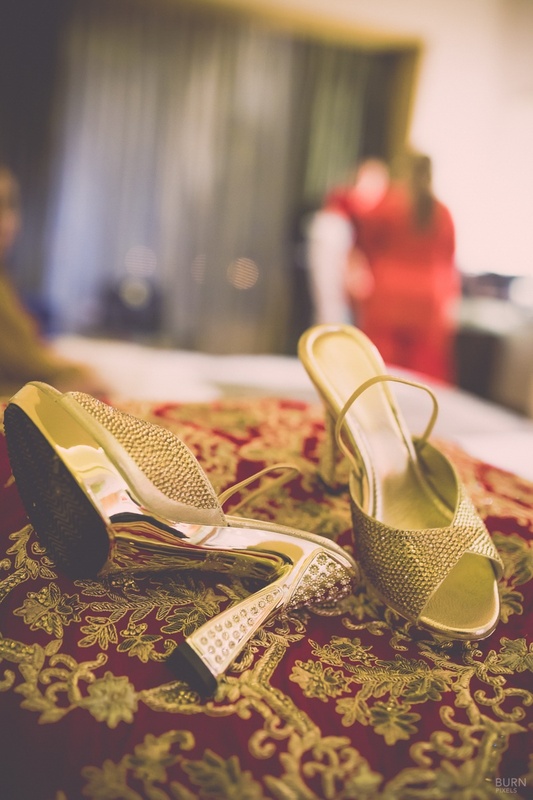 Scroll down to see their pretty wedding photos captured beautifully by Burn Pixels Photography! 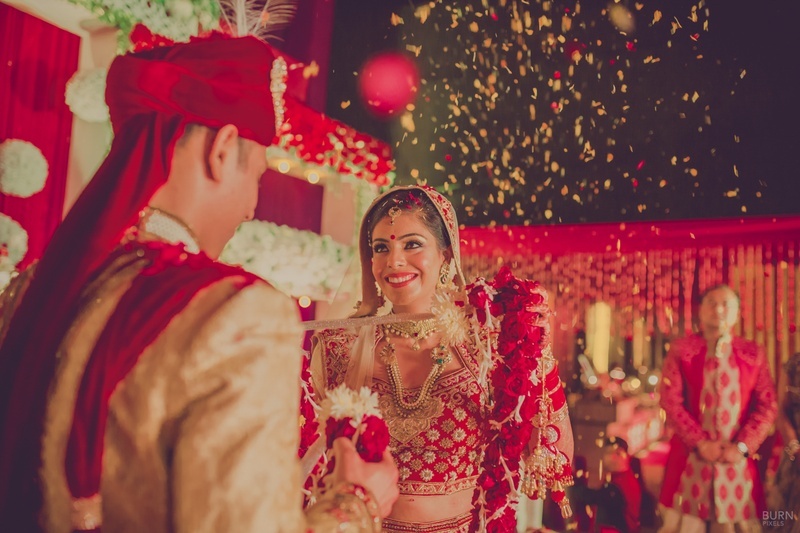 Beautiful Bride wearing gorgeous Red and Golden Bridal Lehenga by Asiana Couture. 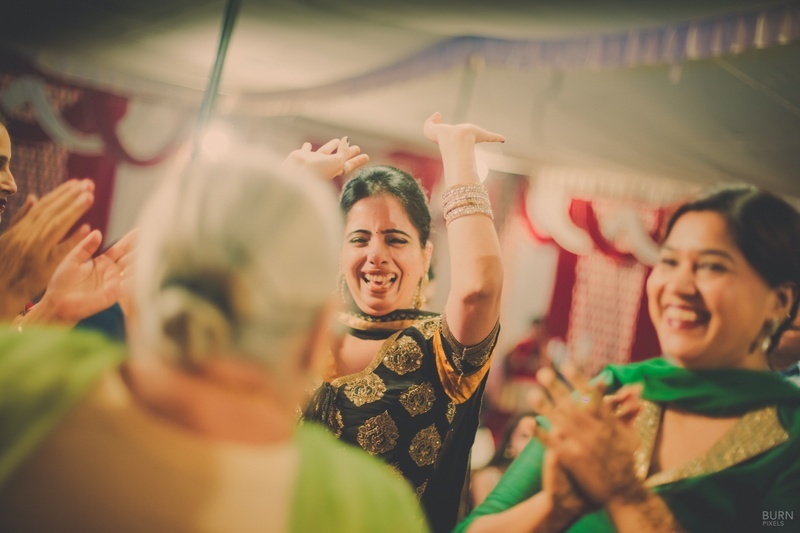 Fun elements in the wedding. 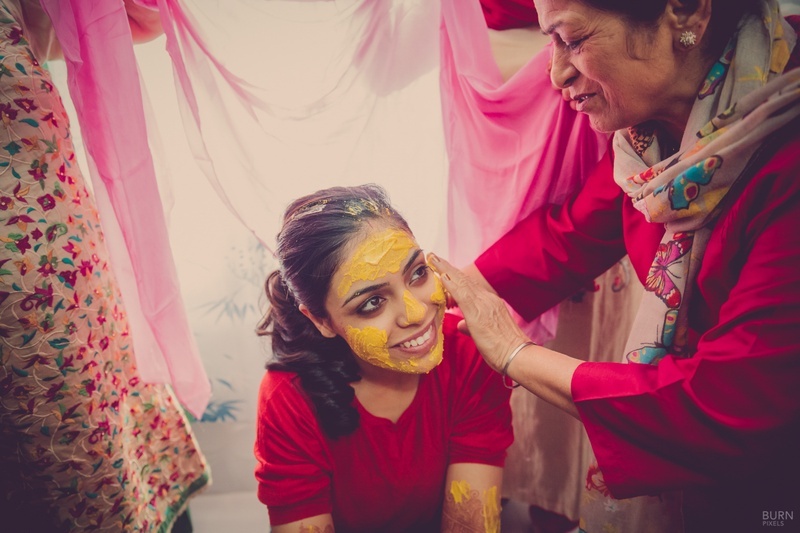 Already lost in love for the Varmala Ceremony.